My name is Telman! 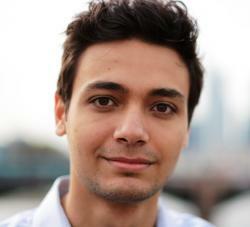 I am a student of MoF 2014 intake, I’m 21 and I come from Armenia. I am a hobbyist writer, and a professional musician who, naturally, decided to study Finance. On September 25th, Frankfurt School welcomed FS Alumnus and Co-CEO of Barclays, Alexander Doll, as a part of “Barclays meets FS”. Doll gave a presentation on what careers can students pursue in Investment Banking and what opportunities we have at Barclays. Why are careers in banking still attractive? Throughout the evening the focus was mostly on investment banking, which is also one of the most popular choices of graduates with a background in finance. It is also among the biggest and most highly profitable industries in finance. Similarly, the salaries in investment banking are also among the highest in banking in general. For example, a newly hired financial analyst’s first-year salary in M&A will be between US $100,000 – US $140,000, including the compensations. The same stat for Associates in their 1st year is US $165,000 – US $270,000, according to ibankinginsider.com. However, besides the high salaries and compensations, the job itself is a motivator. As was said during the presentation, young professionals have the chance to learn a lot of things as an analyst, as a trader on a trading floor or as a part of M&A team. They have access to confidential information, take part in very interesting complex transactions with many big company deals. In a nutshell, it is anything but boring. Barclays passed that information on to us pretty well. They provided us with simple practical examples of how things are done at Barclays, and what they ultimately look for in interns and employees. The vice president of Barclays Germany made his speech, as he expressed, “as practical as possible”. Without delving into theoretical explanations he gave us a real presentation of how their Sales Department works, what the duties of a trader are, and what values Barclays looks for in their recruits. The same was also later covered by the CEO. In brief: it is the ability to work for results, creativity and resistance to stress, as well as professional skills which will set us aside from the rest. What also is important for an employee is to have the interpersonal skill-set, such as the ability to talk to people, get their trust, because eventually they will have to talk to clients and business partners and do business with them. The general idea was: employees are always expected to be ready to put in a little extra work for the client, and are encouraged to do so. Thus, applicants not only need to be promising professionals but are also expected to be able to resonate with the company’s values and views on how business is being done. At the end, we went over the possible job and internship opportunities available for us at Barclays. For freshmen, who are still far from their penultimate or final years, they offer a Spring Internship programme. It is basically a one-week programme, intended to give the students an idea about Barclays, their business. The applications for it are going to be available from November 1st. For students who are on their final or penultimate years it is recommended to apply for a Summer Internship, an 8-10 week programme which can take place in Barclays’ London, Paris, Madrid or Frankfurt offices. The internship is very good in the sense of getting a general idea what it is like to work there. It is also very helpful for future career orientation. 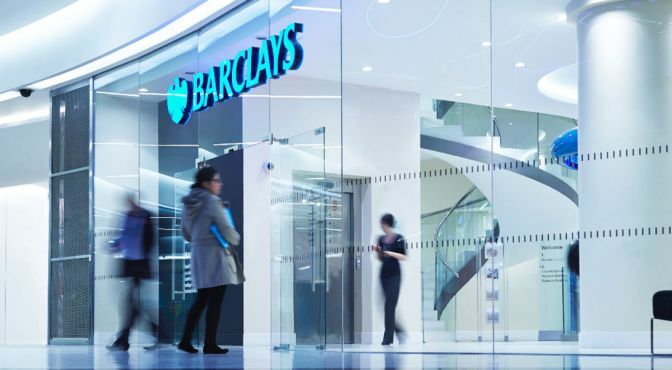 Barclays organises rotation of their interns through several of their departments, which is undoubtedly an experience which will broaden your perspective of investment banking and understanding of how the working environment differs between departments. For already experienced and graduated students, Barclays offers their Graduate Programme, which is essentially a direct entry as an analyst. However, it was mentioned that for this position it is better to have prior working experience with banks, or at least an internship at Barclays. To apply applicants need to go Barclays’ official web page. There they will have to pass through 2 tests, after which they shall be asked to submit their CV. If successful, the possible interns and employees will be invited for an assessment centre test in one of their offices. Further information about all of these options can be found on Barclays’ official website. All in all, I believe Barclays made a good impression on Frankfurt School students. The whole meeting bore a warm and friendly atmosphere throughout, and the presentation was mostly well constructed, clear and objective. We got the opportunity to ask questions and it was very nice to network with the representatives from Barclays, who patiently answered all our questions. Most importantly, you could tell that Barclays hadn’t come to Frankfurt School purely to advertise themselves, but they actually wanted to help students better understand Barclays, how things are done there, what their priorities are, what does it take to join them. They answered all the questions we could have and posed their own questions, the answers to which are essential in the current state of the economy and regulations that are being imposed on banks. It was something more than a mere recruiting event, it was highly educating and motivating, I think, for all of us who were present there.